Troublesome Trucking Teutonic Tuesday: Die Rückkehr des Zweitakt. Und Kommis. 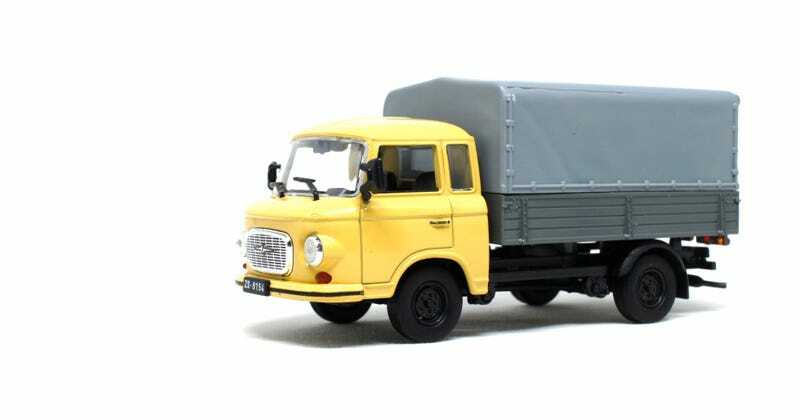 I’ve done Teutonic trucks before, the Hanomag Kurier and the Goggomobil TS250. This one however is somewhat more obscure. Because this Kleintransporter is from the DDR. Or GDR in English. In other words: East Germany. Because this is a Barkas B1000, built from 1961 to 1991. And yes: It had a two-stroke engine. Of course. That “1000” was supposed to tell us all about it’s payload (one metric ton). Not it’s engine displacement (1000cm³). As at first it came with a 900cm³. Developing the car and production-facilities took quite a while. Development started in 1951 and the first running panel van was built in 1956. Production however started only in 1961. It’s separate frame construction was actually a redesigned Barkas V901/2 frame. By using a separate frame multiple utilitarian solutions were possible. A (panel-) van, truck, even the eastern German Fire department used these. And repairs when damaged were quite easily. The engine was a 46hp Wartburg two-stroke 3-cylinder. It was mounted up-front, between the seats and direct it’s power to the front wheels. It was capable of 100 km/h and wasn’t exactly economic when one looks at it’s displacement and weight: 12 l/100 km! I always loved it’s friendly “face”. And after this truck I want a panel van as well. The model it self is a cheap “Magazine Models” 1/43. You probably will get it new for about 5 euros. Too bad the bed doesn’t open, I actually never tried to take of the tent come to think of it? And guess who decided to show up? That other two-stroke Kommi I showed before, the Melkus. Finally with a driver behind it’s wheel. Karl-Heinz. Hals- und Beinbruch Ihr alle, das war es wieder. Bis nächste Woche für wieder ein Deutschland Dienstag. Ohne Kommis.